We're Fialta, a dual-couple indie pop band from California. And we're so glad you found us here on Noisetrade. 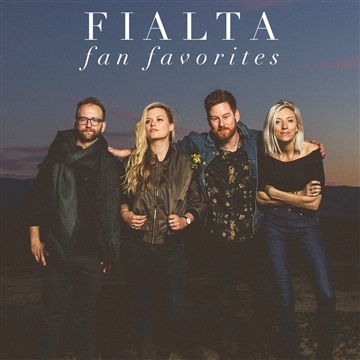 As four individual songwriters, vocalists, and multi-instrumentalists, we started Fialta as a way to support each other in arranging and recording our musical ideas. We are deeply passionate about the creative process and can attest to how formative it has been for our marriages and friendships (yup, we're two married couples)! In 2013, we released our debut album, Summer Winter, and this July we've just released our second album, Shadow of a Drought—an energetic, earnest pop record - our own little opus about life in the 21st Century. Our influences range from Brian Wilson and the Beach Boys to Paul Simon to early Madonna. Download our Fan Favorites compilation which includes songs from both of our releases, and let us know what you think. We'd love to hear from you! Fialta is David Provenzano, Sarah Shotwell, Beth Clements, and Michael Leibovich.